According to the TTB, wine, beer or distilled spirits “made from ingredients that contain gluten (cannot) be labeled as ‘gluten-free.’” This could spell trouble for Widmer, which has invested significant time and money in a new gluten-free beer. Being the investigative journalist that I am, I tracked down the TTB’s spokesman to quote on this matter. TTB’s Tom Hogue said that the FDA continues to look into issues surrounding gluten-free labeling and that the 20 ppm of gluten standard is “proposed but not final.” The TTB’s ruling affecting Omission’s gluten-free labeling only pertains to interstate commerce, so beer labeled gluten-free in Oregon could be just “handcrafted” in California, Washington, and everywhere else it will show up. TTB operates with the “best available information,” said Hogue, and gluten-free beers pose a problem. 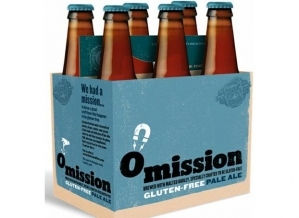 This entry was posted in Beer style, Oregon, Portland, Uncategorized, Willamette Week and tagged gluten free, Ground Breaker, Omission, Widmer by Brian. Bookmark the permalink.